A couple weeks ago I went to Barnes and Noble to fill up my (already huge) TBR pile, and came home with Manfried the Man. 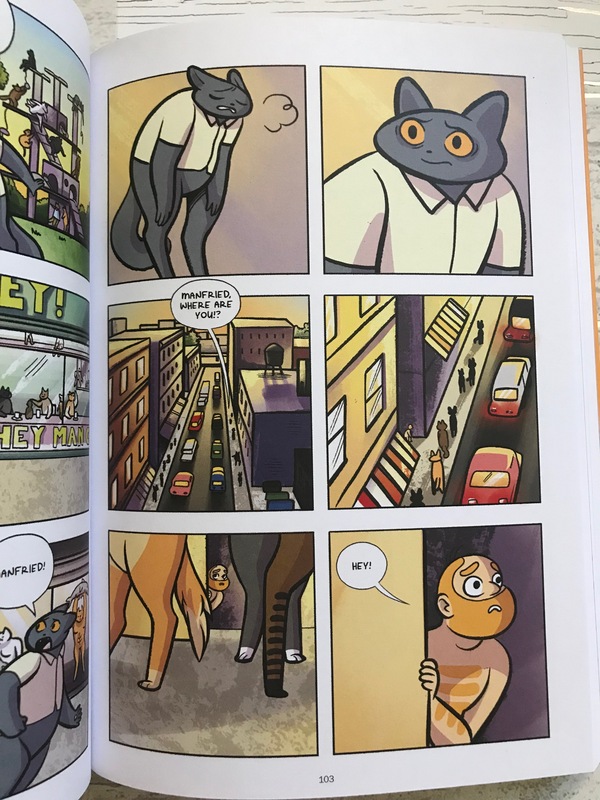 This graphic novel from Quirk Books was the first thing I read, and I fell in love with it immediately. 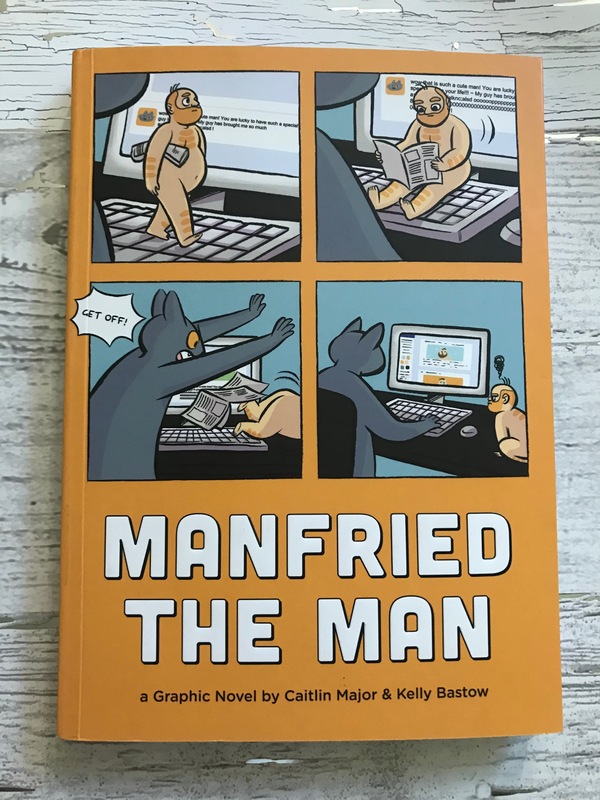 Manfried is a man, owned by a cat who can’t seem to get his life as together as he hopes. Steve (Manfried’s owner), likes to draw, post photos of Manfried on Meowstagram, and relax at home. He doesn’t like his job, doesn’t have much of a love life, but he does have a man. One day, Steve leaves his window open, and Manfried gets out! Steve searches for ages, even getting the whole town to help him. Will he find Manfried? I loved reading this. As someone who is absolutely gaga for animals, I understand Steve’s feelings for his man, and how attached he is. Reading this graphic novel made me think to a time when my snake broke out, and I called in to work to spend the day searching for him. Animals are such important parts of our lives, and this really explores that in a fun, non traditional way. I think Quirk puts out great content for all ages, but this one may be recommended for those with a bit of maturity (as everyone’s men are naked). I’m very excited to read the sequel, which is set to come out next year!